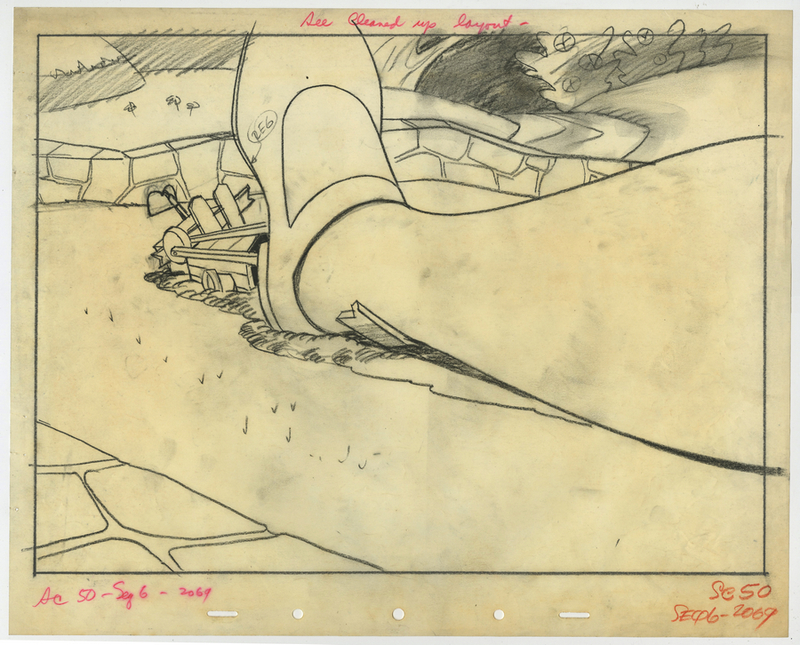 This is an original layout drawing from the Walt Disney Studios production of Alice in Wonderland (1951). 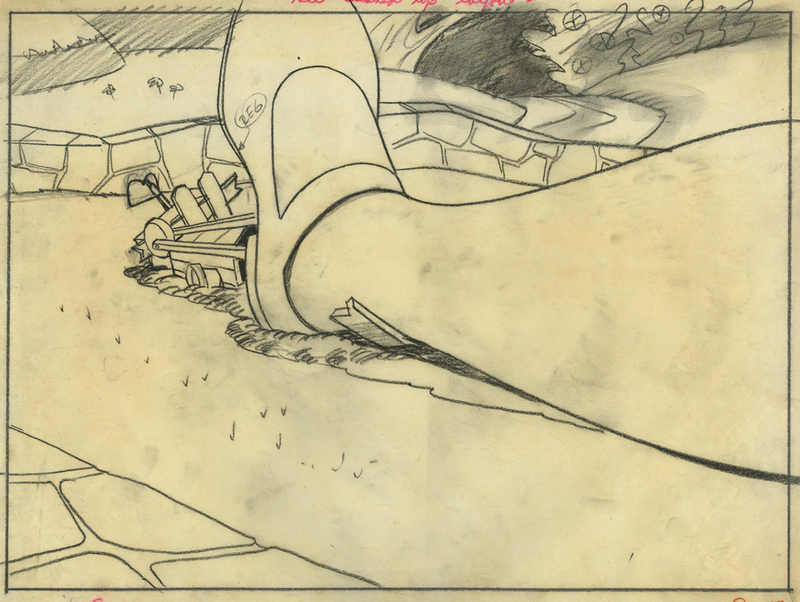 This background layout drawing features Alice's overgrown gigantic foot as it cRa'shes through the front of the White Rabbit's house, and was created at the studio and used during the production of the film. The overall measurements of the piece are 12.5" x 15.5" and the image itself measures 10.75" x 14.5". The drawing is notated as being used for Sc. 50 - Seq 6 - 2069, which would have been a sequence that was done by layout artists Charles Philippi and Kendall O'Connor. It is likely that one of these two artists created this drawing which is in excellent condition with some minor wear and creasing to the top edge.